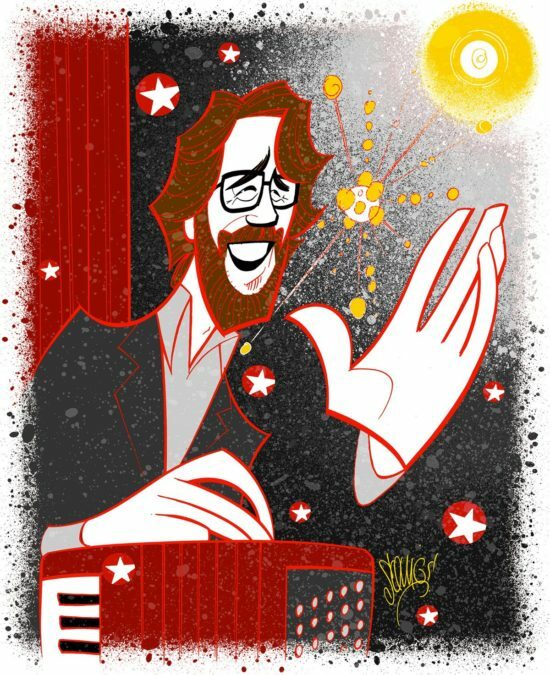 Josh Groban is Broadway.com’s 2016 Star of the Year! Raise a glass of vodka to Josh Groban! After an intense few days of voting, you have made the crooner your 2016 Broadway.com Star of the Year. A man of his word, Groban made his long-awaited Main Stem debut this fall, headlining Natasha, Pierre & the Great Comet of 1812. Eight times a week he transforms himself into the tortured, rotund, accordion-playing Pierre, leaving audiences at the Imperial Theatre simply intoxicated by his performance. To celebrate Groban joining a club that includes Kelli O'Hara (2015), Ramin Karimloo (2014), Patina Miller (2013), Steve Kazee (2012), Daniel Radcliffe (2011 and 2008), Kristin Chenoweth (2010) and Constantine Maroulis (2009), Broadway.com resident artist Justin “Squigs” Robertson penned this portrait. Congratulations Josh, we're happy you're here on the Great White Way shooting for the stars!